Jen's Gone Paleo: Happy New Year! My WOD weakness continues to be running, so I'm taking it on...I WILL improve my "Helen" time and will hopefully one day enjoy running (if not enjoy, possibly not dread). In the meantime, I will follow my routine each morning and continue to CrossFit at night. I will also be setting monthly goals for myself...as I feel it will be more realistic for me, than a bunch of goals set for the entire year. 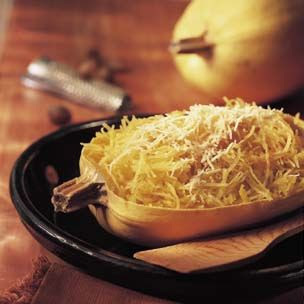 *The nice thing about this squash is that it can be cooked in advance and reheats really nicely. 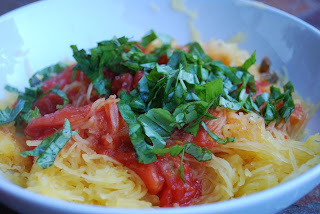 It has a really neutral flavor and can be used for most spaghetti/pasta recipes or as a base for curries, as well.